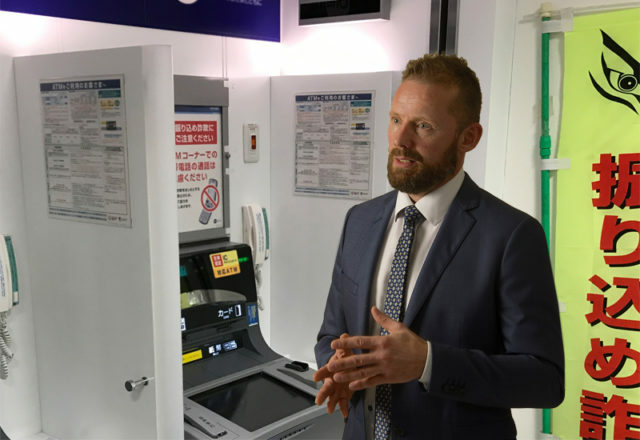 An ATM in Kanagawa Prefecture this morning alerted local patrons that the foreigner standing in front of it couldn’t even carry out a simple banking transition in the country it was residing. The foreigner feigned to demonstrate an aura of competence as it entered the bank – waiting in an orderly fashion for the next available machine – but was soon flushed out by the ATM, which possessed a higher than expected English volume. “YOU HAVE SELECTED ENGLISH,” announced the ATM. Several people within a 10-meter radius of the machine were collectively filled with the gratification that their original suspicions had come to fruition. “It was only a matter of time before I caught one in the act selecting the English option button,” said Naoko Takahashi. Ryan Smith sheepishly exited the bank avoiding all eye contact while mumbling ‘naruhodo’ to try and recover at least some respectability.